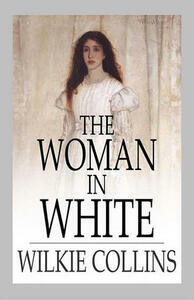 The Woman in White is widely regarded as the first in the genre of 'sensation novels'. It follows the story of two sisters living in Victorian England with their selfish, uninterested uncle as their guardian. Marian Halcombe is the elder of the two sisters, and a remarkably ugly woman, but with courage, strength and resourcefulness in abundance. The younger, her beautiful half-sister Laura Fairlie, is engaged to a rich man by the name of Sir Percival Glyde.